I've just followed some advice on askubuntu and installed gnome-shell over lubuntu. Everything went smooth, apart from the fonts that look different and ugly (as in some java programs). I've tried with xubuntu and it's the same. Is there a way to fix this? Try the gnome tweak tool, open up your terminal and type. When it has finished just type . From the menu select fonts and try some combinations until you are happy with the look. The original setup would have been. 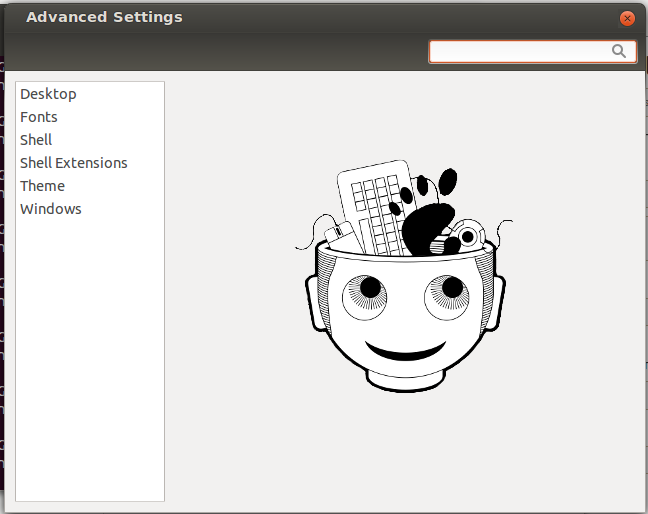 Go to gnome settings application. There choose the fonts section. From here you can tweak the appearance of fonts. Not the answer you're looking for? Browse other questions tagged gnome xubuntu lubuntu fonts or ask your own question. How do I reset gnome font configuration? Font style changed suddenly - what's wrong? Can I override fonts installed by ttf-mscorefonts-installer, prefer Liberation fonts? 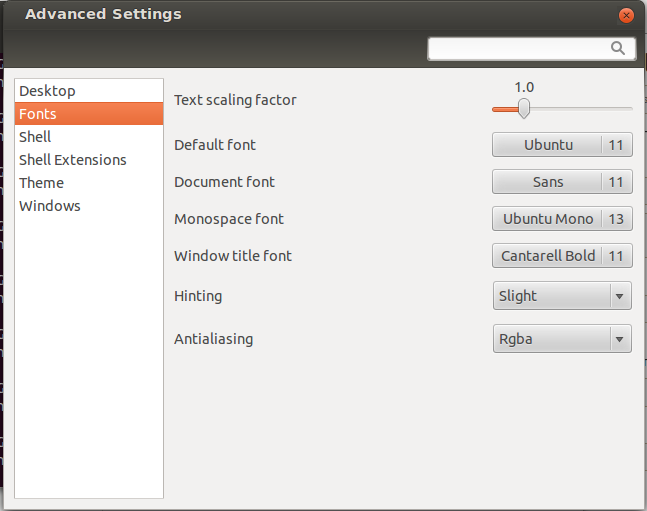 How can I improve the font rendering of Swing Java applications under Ubuntu? Fonts problem / debugging font-cache?